Eugene “Gene” Joseph Connell was born in Hazleton, Pennsylvania, on May 10, 1906. He grew up in Bethlehem, Pennsylvania, where he excelled in high school football, basketball, baseball, and track. He and two of his brothers left Bethlehem to become college baseball stars: A.F. Connell at Lehigh University, Joseph B. Connell, Jr., at Villanova, and Eugene Connell at the University of Pennsylvania. 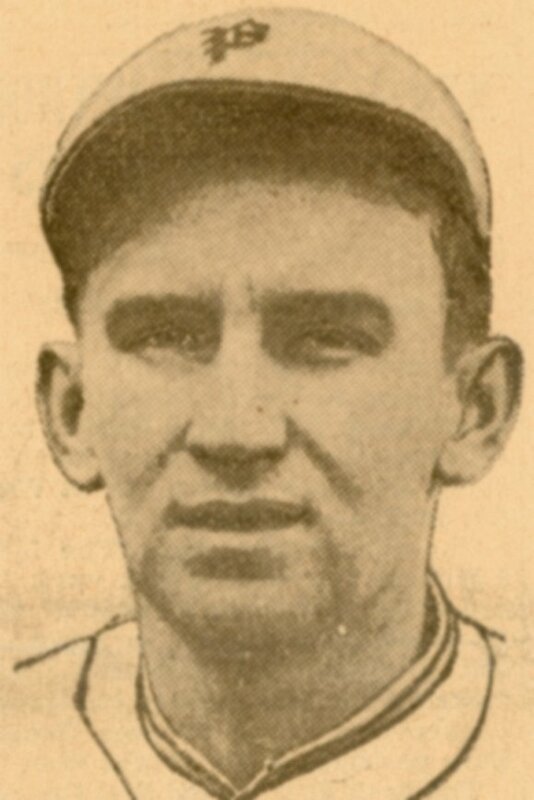 Joe Connell went on to play for the New York Giants in 1926, while Gene, the youngest brother, would play for the Phillies in 1933. 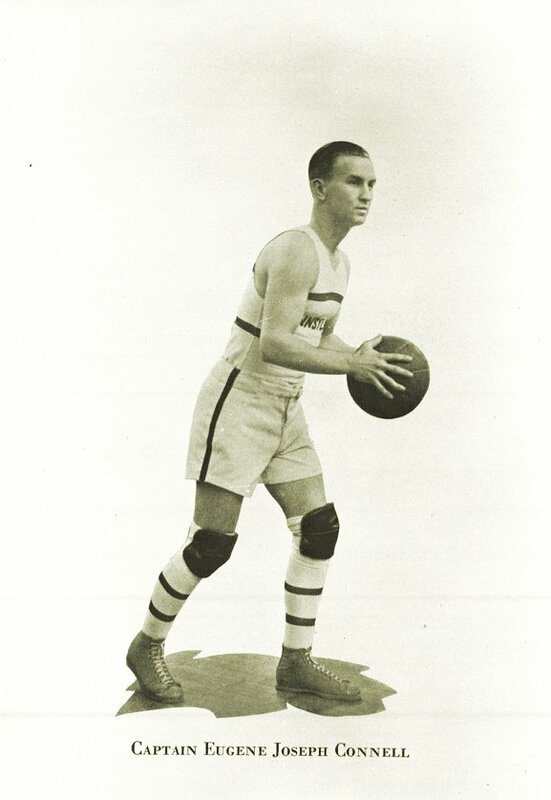 At Penn, Gene Connell played both varsity baseball and varsity basketball during all four of his undergraduate years. He played catcher on the baseball team and center forward on the basketball team, and as a senior was captain of the basketball team. Connell was a member of the Sphinx Senior Society and of the Sigma Alpha Epsilon and Phi Kappa Beta fraternities. He was elected his class’s Spade Man in his senior year. After graduating from the Wharton School in 1928 he attended Penn’s Law School for two years, where he did research on the tort liability of spectators at athletic contests. After leaving Penn, Connell played professional baseball in New England. He had a brief tryout in the major leagues, making his debut with the Philadelphia Phillies on the Fourth of July, 1931. Connell was killed in a car crash in Waverly, New York, on August 31, 1937. At that time he was thirty years old and associated with his brother in the Connell Coal Company in Bethlehem.